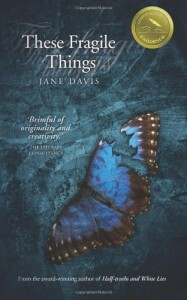 Having recently enjoyed ‘A Funeral for an Owl’ by indie author Jane Davis (see review dated 2 Jan 2018), I dived further into her back catalogue and found this book (first published in 2012) and I’m delighted to report that the author’s accessible writing style again made for a really enjoyable read. In particular, Davis does have a wonderful knack for developing interesting teenage characters and in this offering the central protagonist (Judy Jones) is recovering from a deliberately mundane, yet life-changing incident, in which a wall collapses on her. In fact her survival is positively miraculous. Still, the wall is a very effective metaphor for other constructs around self-image, relationships, indeed life and the book explores how susceptible to collapse these things can also be when buffeted by external, or self-made pressures. The stress-test that the human experience places on individuals, families and communities can be profound and the mechanisms created to defend one’s well-being can be elaborate, or at times blindingly simple. Though not meant to be a commentary on faith, Davis does at least invite the question whether spiritual faith and/or faith in each other aids the character’s ability to cope and navigate the unexpected, or whether the key is our shared humanity and the capacity for random acts of kindness. For those readers with children, especially teenagers, there are interesting moments for reflection at the shifting nature of the parental relationship, but also a potentially visceral empathy with Judy’s parents and the impact of the kind of news for which we all live in a state of dread. But, if subsequently the child then purports to experience visions, how does one react to that? At its core the book focuses on the experience of loss – of health, identity, belonging, an anticipated future - and the attendant bereavement. The interlacing of aspects of the characters’ individual and collective journeys is cleverly handled by the author, though for me the slightly bizarre departure from the rails of Elaine Jones (Judy’s Mum) was an unnecessary distraction. Yet, all-in-all a fascinating and thoughtful novel, which does emphasize the potential corrosion of loneliness, however it may be imposed.